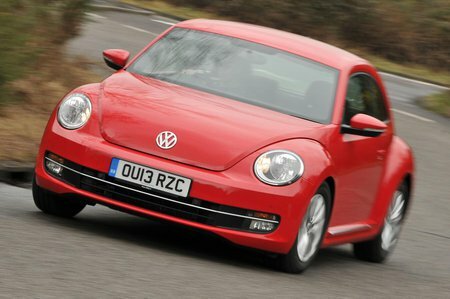 Volkswagen Beetle Boot Space, Size, Seats | What Car? 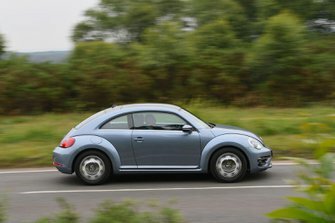 That sloping rear end causes packaging problems inside the Beetle. 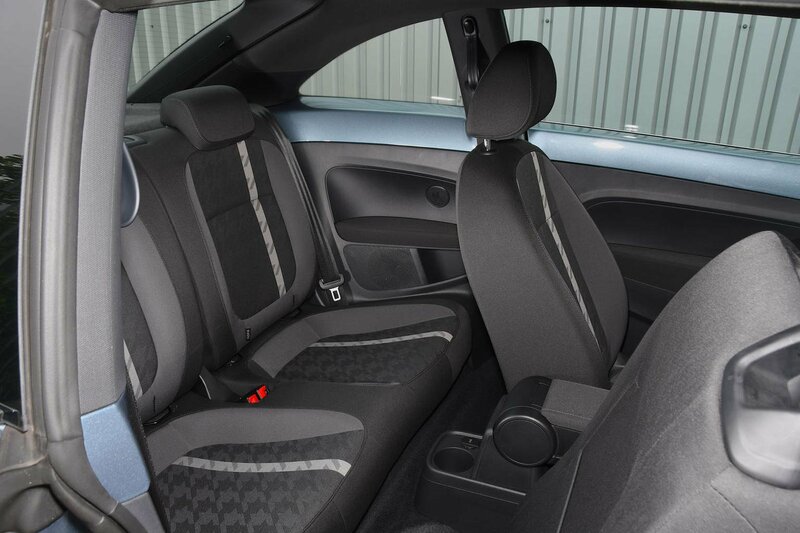 Those in the front will be fine; there’s as much room as in a Golf, although the ill-judged placement of the armrest means the driver will either struggle to reach the handbrake when it’s down or bash their elbow on it when it’s up. The roofline makes rear space difficult, though; passengers larger than Munchkin-sized will struggle with head room, while leg room is limited too. Children or small adults are the only ones who will comfortably fit, and they’ll have no trouble getting in because the large doors open nice and wide. And that roofline, again, plays havoc with what would have been a respectably sized boot. It’s bigger than a Mini’s, and can be extended thanks to standard 50/50 split-folding rear seats, but it’s a flat shape due to the roof. There’d be some consolation if interior storage were more plentiful, but there’s only room for two cupholders in the front, an extra cubby in the dashboard and a central cubby under that troublesome armrest. The door bins are, annoyingly, made of fabric, so can’t hold heavier items. The ones in the rear are sturdier, mind.